Monday, Frank and Lorenzo Fertitta formally announced the launch of Fertitta Capital, a private equity firm with stated plans to invest in “consumer-facing companies in technology, media and entertainment.” The firm’s start-up money comes in the form of $ 500 million fronted by the brothers, who sold their majority ownership of the Ultimate Fighting Championship this past July in a ground-breaking $ 4 billion sale, the largest ever for a sports franchise. The UFC is determined to make its first New York City show special. Just look at the historically deep lineup. Now, Reebok is joining in. The promotion’s apparel partner is launching New York-inspired fight kits and products just for UFC 205, officials said Tuesday. Fighters competing on the card will have unique weigh-in and walkout gear, including headwear, t-shirts, hoodies and shorts. The “UFC City Pack: New York” will be exclusive to the athletes on the Madison Square Garden card. An official announcement is expected Tuesday afternoon. There has never been a product line nor fight gear made specifically for a single event in UFC history. UFC 205, which takes place Nov. 12, is headlined by a lightweight title fight between champion Eddie Alvarez and featherweight champ Conor McGregor. McGregor is attempting to become the first UFC fighter to win titles in two different weight classes at the same time. In the co-main event, UFC welterweight champion Tyron Woodley will take on Stephen Thompson. Plus, Joanna Jedrzejczyk defends her women’s strawweight title against Polish countrywoman Karolina Kowalkiewicz. 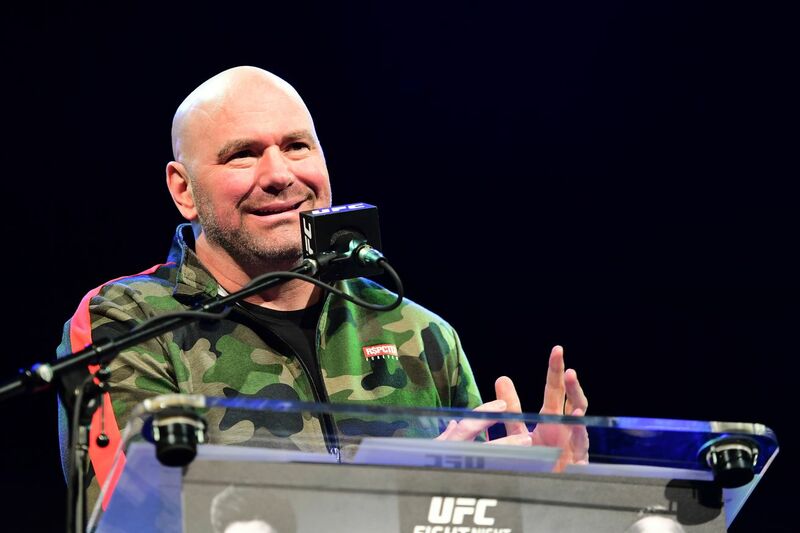 It’s set to be the biggest card in UFC history and UFC president Dana White said last week that UFC 205 has already broken the Madison Square Garden gate record. The new duds are just another investment in UFC 205 being a massive spectacle. All the products can be found at UFCStore.com and reebok.com. Fans in the New York area can get the threads at Modell’s or Reebok locations.